The bedding planes at Mistaken Point display some of the most varied and high-fidelity late Ediacaran fossil assemblages anywhere in the world. Following the recognition of these fossils as some of the oldest, complex, multicellular organisms, the Mistaken Point Ecological Reserve was added to the UNESCO World Heritage Site Tentative List in 2004. However, the bid process requires for active management of the fossil horizons in order to conserve their ‘Outstanding Universal Value’. The area around Mistaken Point is conserved using a complex group of legislative options, which present both challenges, but also opportunities and choices in land management and conservation approaches. The majority of the area is protected as part of the Mistaken Point Ecological Reserve (MPER), which provides a regulatory framework that protects the fossils from human damage, and equips MPER staff with mechanisms to control access and usage in certain areas. MPER is governed by the Fossil Ecological Reserve Regulations made under the powers of the Wilderness and Ecological Reserves Act, 1980. Some areas of what is commonly regarded as being within the MPER are actually defined as Crown Lands Reserve. This designation, using the powers of the Lands Act, 1991 allows decision-makers more freedom with regard to development than would be allowable within an ecological reserve, e.g. the development of trails. Any fossils within Crown Lands Reserve are protected via the Paleontological Resource Regulations, created under the powers of the Historic Resources Act, 1990. The challenge in this area is to balance to conservation needs stipulated within legislation, with wishes of many different groups to have access and usage of the localities. As well as being a major area of study for geologists and palaeontologists, whose actions need to be regulated, there are also many tourists who wish to visit the area. The local population are also key stakeholders in this process. The local economy has been greatly affected since the collapse of the fishery in the early 1990’s, and Mistaken Point, as part of Newfoundland’s wider attraction as a geotourism destination, provides an opportunity for diversification and growth within the local economy. This project seeks to explore a number of management scenarios for this internationally recognised fossil site, so that the understandable wishes of the local population and visitors can be balanced with the need to guarantee the long term sustainability of these outcrops. It is worth stating that these concerns are not necessarily in competition with each other – only when management structures have been arranged that provide for the lasting conservation of the area, can community groups and investors be confident that economic development will be durable and long lived. If the tourist industry or scientific research is allowed to damage the outstanding universal value of the area, this will likely cause an eventual decrease in visitors, and loss of revenue to the local economy. The Bonavista Peninsula, Newfoundland, comprises late Ediacaran rocks, and minor outcrops of Cambrian strata. 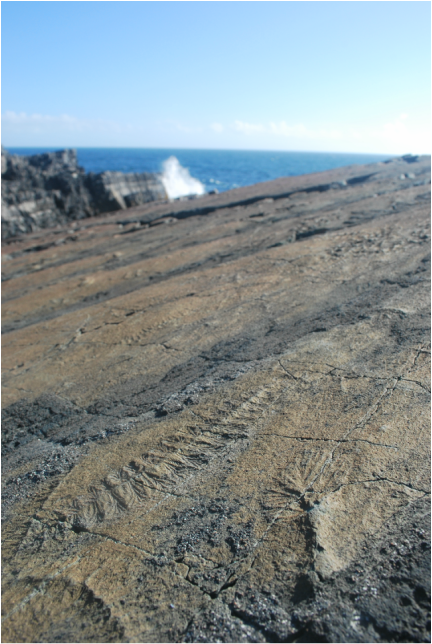 The Peninsula is known to host extraordinary examples of the enigmatic Ediacaran biota, including some of the oldest evidence of animals in the fossil record as seen in the specimen Haootia quadriformis. This project seeks to catalogue and contextualise the geodiversity and geoheritage of the Bonavista Peninsula, and investigate methods for conserving key geosites. The recording, and comparison of geosites is essential to the recognition of the region’s geoheritage. The study of geoheritage on the Bonavista Peninsula will help support the development of the area’s fledgling geotourism industry. In addition, this research supports the Discovery Aspiring Geopark’s application to UNESCO, an endeavour that will have a significant positive economic impact on the region. While the newly defined Ediacaran Period is widely regarded as a cradle for the origins of the animal phyla, what has yet to be established is the extent to which the succession of macrofossil forms within this period is evolutionary, ecological or taphonomic. This is especially critical with regard to the oldest assemblages, which all occur on either side of the North Atlantic, within the Avalon Terrane of Newfoundland, Wales and England. The project critically analysed the stratigraphic and (mainly siliciclastic) sedimentary context of the Avalonian rocks across a wide range of habitats. Working with partners at the British Geological Survey, I am constructing a high-precision geochronological framework for these important sections, onto which lithostratigraphic, and palaeontological data can be mapped. I am also interested in the management and conservation of these important scientific localities. Working within complex legislative frameworks, I support community groups to develop their geotourism industry while developing understanding of the need to ensure the long term sustainable use of these internationally unique locations. The Ferryland siliciclastic sequence is well known for the fossil rich deposits of the Fermeuse Formation, but the remainder of the section, comprising mainly the Signal Hill Group, is regarded to be unfossiliferous. This project described the palaontology of this section, as well as the palaeoenvironments they are associated with.